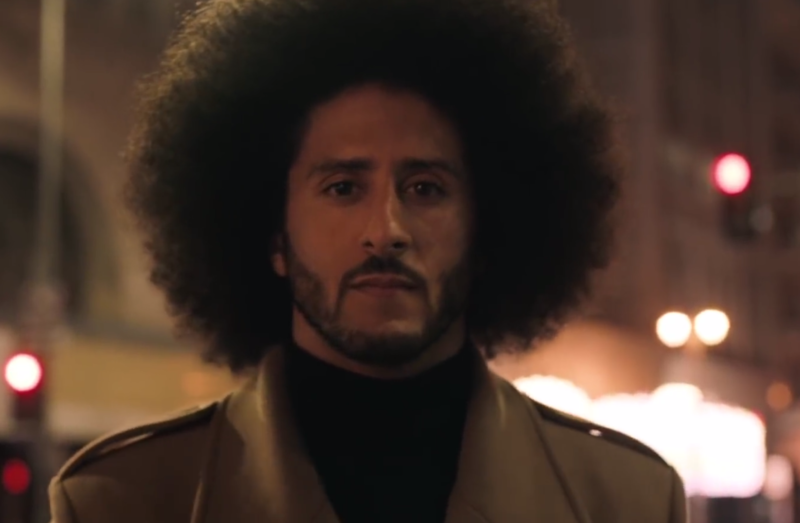 Colin Kaepernick in the Nike ad that has sparked heated conversations since the company revealed it on social media. Nike aired its “Just Do It” ad, narrated by Colin Kaepernick, during Thursday night’s NFL season opener between the Atlanta Falcons and the Philadelphia Eagles, but the ad has ignited heated conversations since the company revealed it on social media earlier this week. Kaepernick, who narrates the ad, became a national figure in 2016 when he chose to take a knee while playing for the 49ers rather than stand during the national anthem before an NFL game. He described his behavior as a protest against racial injustice in the United States. Since then other players have followed this example and the movement has caused a national debate that prompted both positive and negative responses. Was Nike’s recent move to use such a controversial figure urging viewers to “believe in something, even if it means sacrificing everything,” fitting with the ideology of its brand? Drexel’s Daniel Korschun, PhD, an associate professor of marketing in the LeBow College of Business, whose research focuses on how a company’s position on issues affects its brand, weighed in on the new Nike ad. What is Nike trying to achieve with this campaign? Nike’s campaign appears to be multi-pronged. First, it differentiates Nike from competitors by branding itself as a fearless company that is even somewhat irreverent. Second, it reframes the debate around Colin Kapernick, concentrating more on the risk he took rather than the issue of police brutality or the anthem itself. Nike is combining profit motives with a desire to change the public discourse. Was this the right move for Nike considering the NFL counts Nike as its primary apparel partner? The NFL has struggled with this issue for some time and, in my view, made some significant missteps by issuing ambiguous statements and by not seeking athlete input sooner. This will certainly put some pressure on the league, but I’m not sure it will change the fundamental equation in relation to attendance or viewership. Do you see other companies aligning themselves with controversial issues? We have seen this to some extent, but doesn’t this take endorsement to the next-level? What is remarkable in this case is that this is fully integrated into Nike’s marketing. This creates a risk that many will view as a marketing ploy. But, by putting such a stake in the ground, Nike is really committing to this issue. My research suggests that this is a trend that is going to continue. In fact, companies are often expected to take on issues such as these. This campaign is in essence a response to a question that would have been asked sooner or later anyway. Media interested in an interview with Daniel Korschun, should contact Niki Gianakaris at 215-895-6741or ngianakaris@drexel.edu.